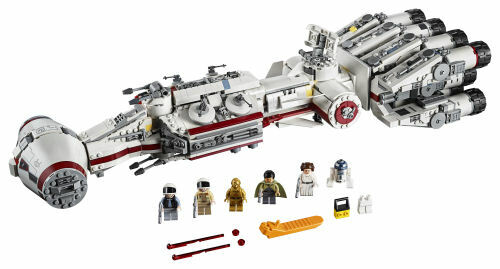 During the 20 Years Of The LEGO Star WarsStory, Jens Kronvold Frederiksen made the surprise announcement that LEGO is marking the 20th anniversary with a new Tantive IV set on May 4th. While that grew cheers, it was the subsequent news that the LEGO booth would have 250 to sell over Celebration. Today's allotment starts at 3:30 and numbers will be limited so be quick. And if that's enough not to get you up and going, there's a suggestion that the set's designer will be signing them.